While flying car seems to be far from a reality at this point, there’s no lack of companies pushing to make everyday commute a jam free one with the use of personal flying transportation. 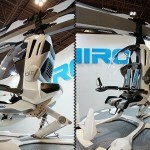 RC helicopter maker Hirobo is one of them. 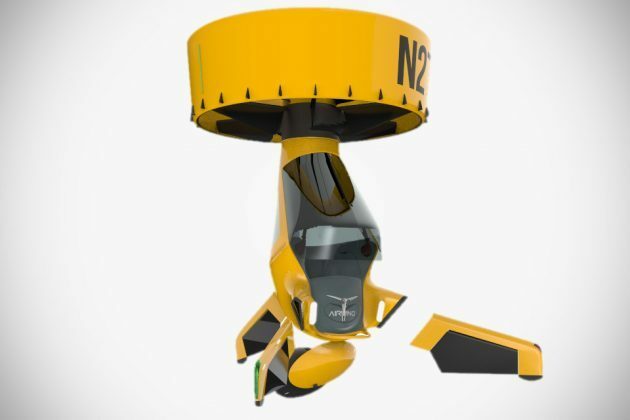 China’s Ehang is another and now, Canadian startup Airvinci (no prize for guessing what or who inspires the company’s name) has its own vision of near-future transportation. 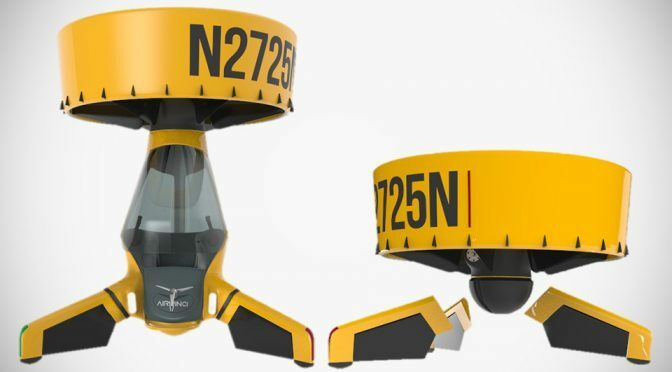 Simply called Airvinci, this ducted fan vertical take-off and landing or VTOL aircraft stands out as one that can be outfitted for transporting a lone human or as a heavy-lifting delivery drone, or for situations where airlifting is required. Unlike Amazon’s planned drone which delivers small packages, Airvinci can even deliver bulk items like a kayak right to your doorstep and if equipped with appropriate gears, this futuristic craft can also perform search and rescue operation, fight bush fires and even as a flying taxi. 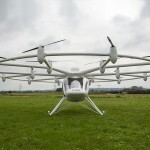 The aircraft’s compact footprint allows it to land virtually anywhere that has a solid, stable surface. 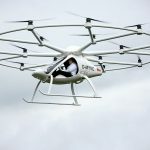 According to its maker, Airvinci boasts easy controls, supports way point flight (like Ehang), built-in flight stabilization and it is lifted by a pair of gas engines that produces 56 horses. A ballistic parachute is in the pipeline as an added precautionary safety measure. 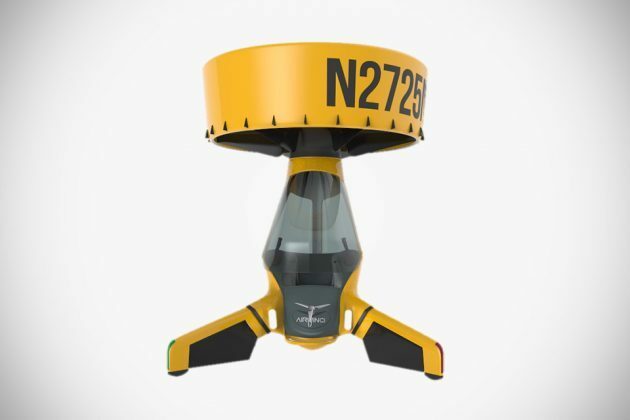 Measuring just six feet in diameter and weighing a mere 200 lbs, Airvinci is capable of taking 260 lbs to the sky at speeds up to 70 km/h and travels at least 43 miles, or an hour of continuous flight. 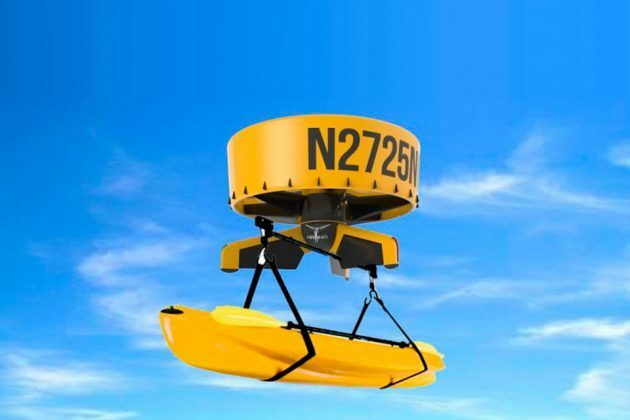 It may be small, but it is designed to get up to 12,000 feet high and together with autonomous flight capability, it is also suited for recreational uses such as skydiving, or city sightseeing. Though it may be a lonely trip for the passenger, since it is only designed to accommodate just one person. 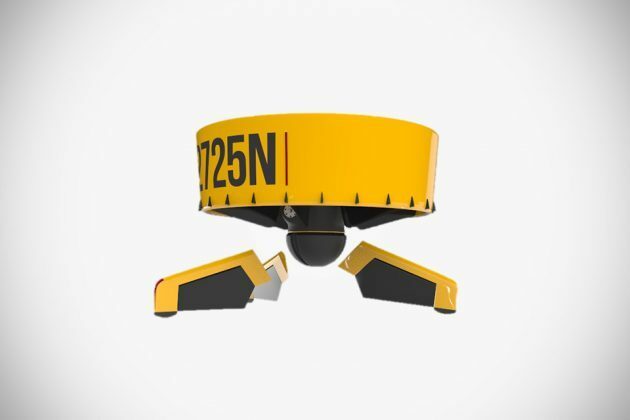 The most exciting part is, Airvinci is not just a dream. According to a report, the company is set to test the craft this summer “with more test flights later this year.” In fact, finally assembly of the prototype should be done at this time, but we don’t know for sure. 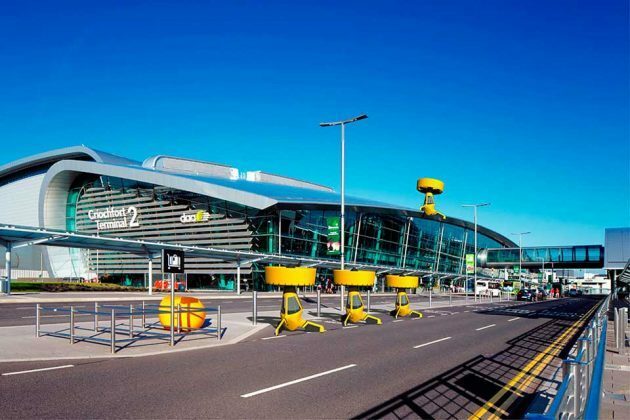 One thing we are sure of is, this type of ‘personal air transport’ could be reality much faster than a flying car since in the development and licensing aspects, the maker will only have one area to tackle. Now, besides air test, we hope to hear some news about the aircraft’s FAA status. And when it eventually makes it to the market, expect to shell out at least $65,000-100,000 for an unit.